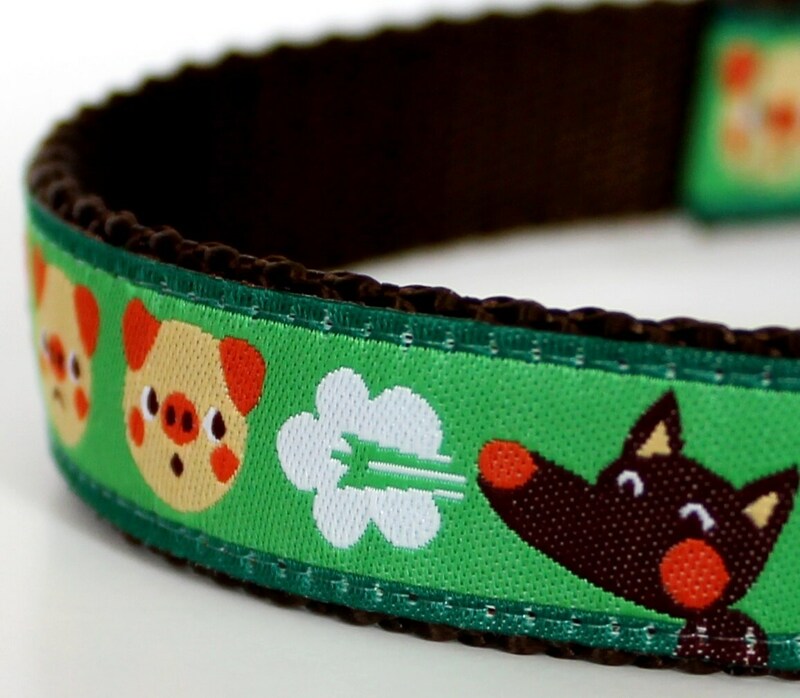 The Three Little Pigs Dog Collar is an adjustable fairytale pet collar. We have the Big Bag Wolf huffing and puffing and the little pigs in a row on the German ribbon. 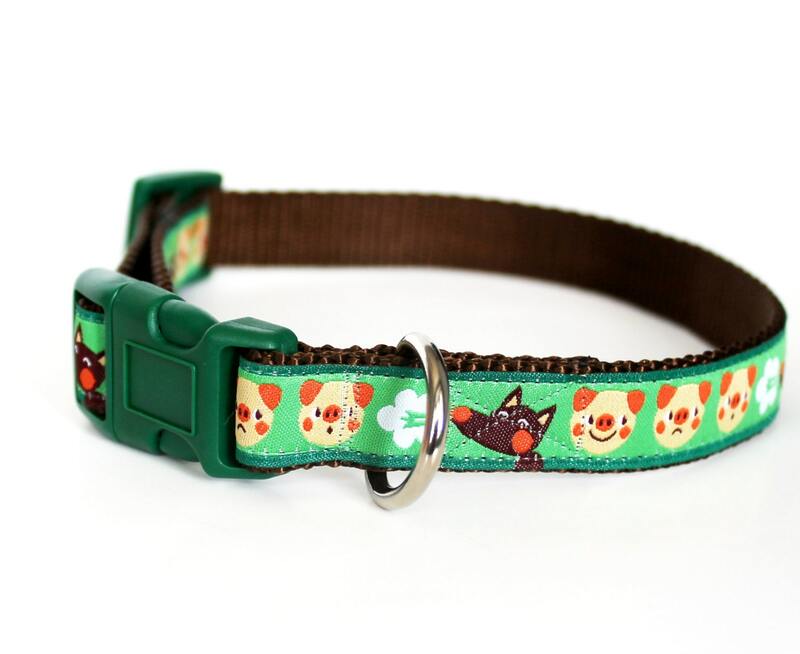 It has a bright green background and is placed on chocolate brown webbing. 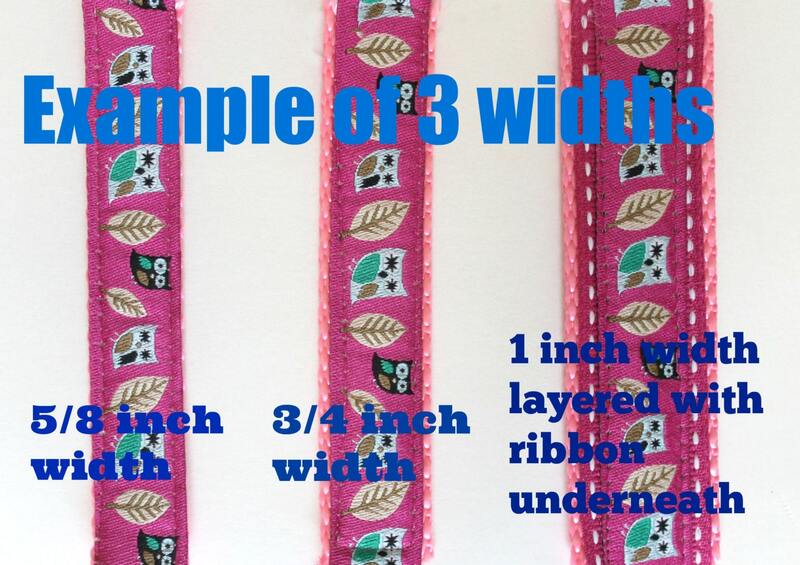 *****The pattern repeat is 3.5 inches which should be taken in account with the XS collar. 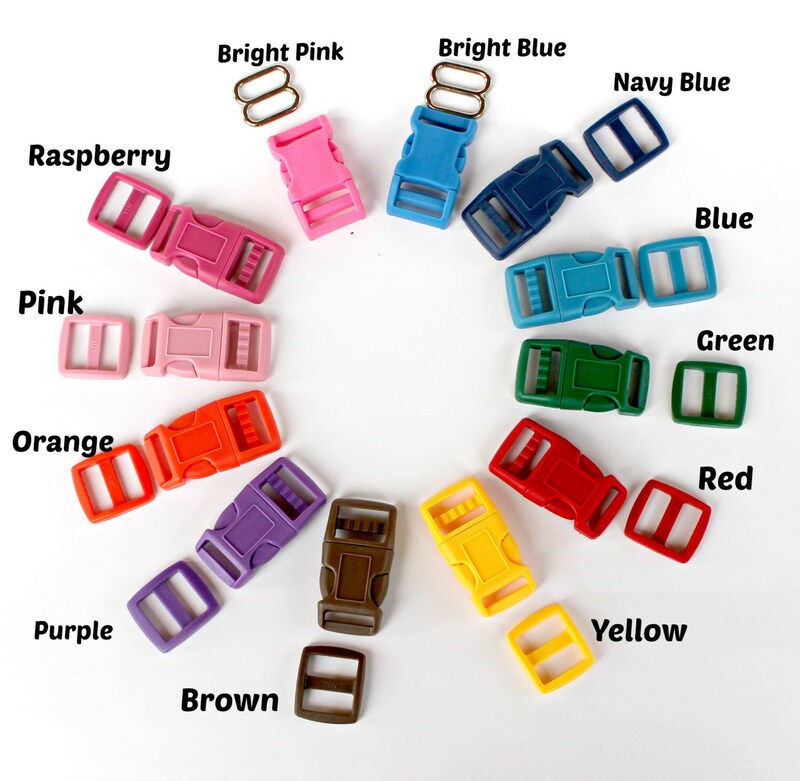 **Colors may vary per your computer monitor settings. Couldn't be cuter!!! Love the little piggies! Wonderful product and service. Highly recommend this seller! 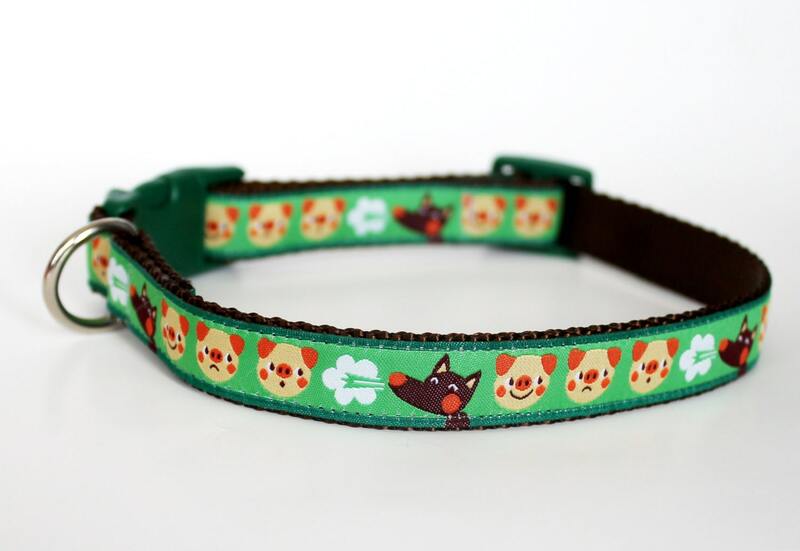 These collars are so unique and perfect for our rescued beagles! Thank you! Absolutely Adorable!! Thank you so much for another Perfect transaction and the lovely packaging!!! Happy Holidays!